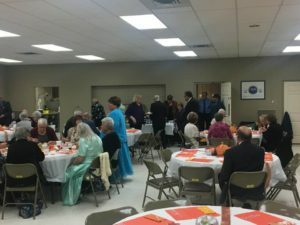 Welcome to Palestine Chapter #51, Waterville, Ohio. 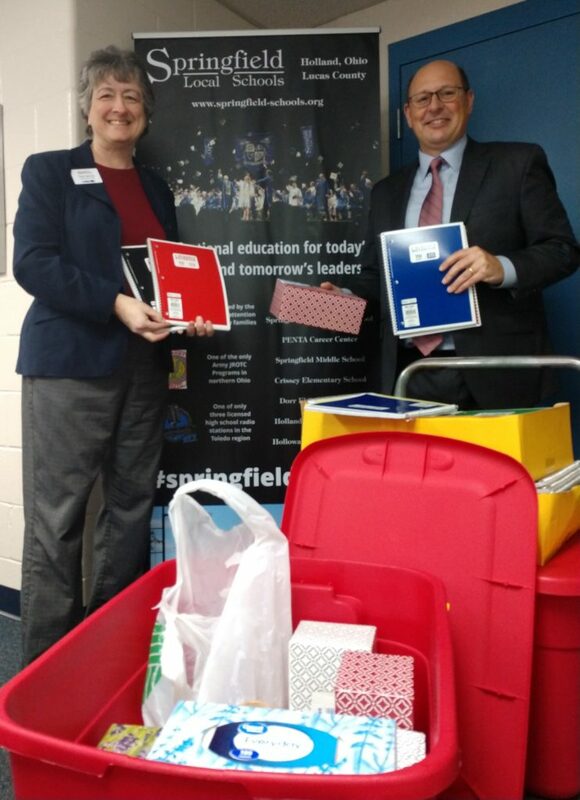 WM Tami with Springfield Schools Superintendent Matt Geha with items from our refresh school supply drive. We are glad to welcome our sisters and brothers from Toledo Chapter as they merged with us. 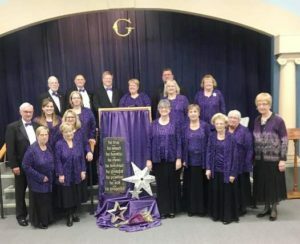 We held a lovely ceremony for them on February 20 with PGP Ron Keller presiding. We know it is a change for them and wasn’t an easy decision, but we hope they feel welcomed and jump right in and take part. Sisters and brothers, we have received notification that an OES chapter would like to merge with ours. Please plan to attend our December 5 meeting to learn more and vote on this matter. Chapter members must be present to vote. If you have been a member of this chapter over the years you may remember the Stardust newsletter. We would like to start sending that again, but send it electronically via email. Send your email address to WM Lisa to get added to the list. Beginning with our January 3 stated meeting, our meetings will be held at the Browning Masonic Community, 8883 Browning Drive, Waterville. We will still meet on the 1st & 3rd Wednesdays at 7:30 pm, we are just changing venues. Look forward to seeing you at our new meeting location! November 15 was a great evening for an installation. It was cold outside, but the friendship warmed our hearts inside. We had over 60 people in attendance to celebrate “Be” with Lisa, Bob and the other new officers. Our scripture for the year is “Be on your guard; stand firm in your faith; be courageous; be strong.” from 1 Corinthians 16:13. We are honoring Palestine’s Heritage this year. Welcome back to chapter potluck 6 pm tonight, September 6. Chapter meeting following at 7:30. Casual dress…please don’t wear your beach wear, but you don’t have to wear your chapter officer outfits.